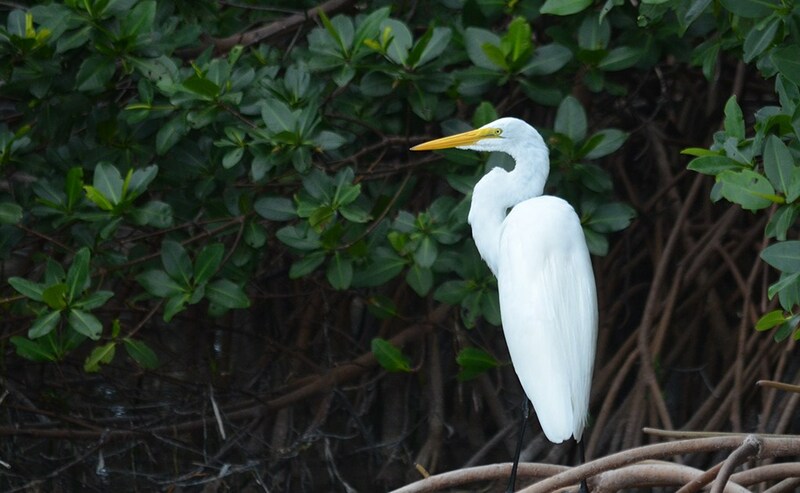 From Key Largo to Key West – come experience the islands! This tour is exactly like our Keys 1 tour, but 2 weeks later. The Keys have a uniquely relaxed culture and mindset. Leave behind your ordinary life for a few days and come unwind in the sunshine and salty sea breeze. 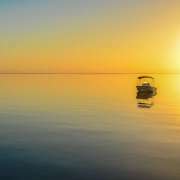 Our introduction to the Florida Keys is a glass bottom boat ride to Americas only living coral reef at John Pennekamp State Park. We will bike right from their parking lot to start our tour of the Keys. On our 100-mile ride we will cross 42 bridges including the 7 mile bridge. 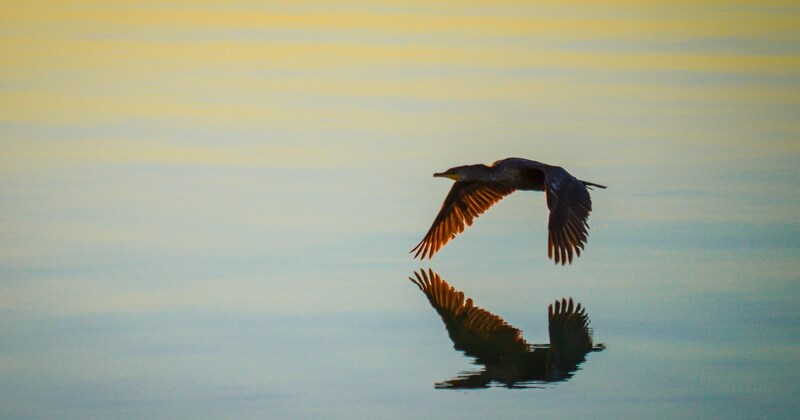 We will have the opportunity to feed the pelicans at the Wild Bird center, see Humphrey Bogart’s boat the “African Queen”, visit the Hurricane memorial erected in memory of the 1935 hurricane that destroyed Mr. Flagler’s railroad, visit the Dolphin Research center, picnic in Bahia Honda St. Park, visit the turtle hospital and even stop in at the No Name Pub for a cold beer on its own No Name Key. Then we arrive in the unique city of Key West. Here we spend two days and you are on your own with the possibility of visiting the “Little White House”, Truman’s vacation home, the Hemmingway House, sunset at Mallory Square (a must), or maybe a half day fishing or a snorkel trip or a day trip to the Dry Tortugas Nalt. Park. Whatever you do it will be a memorable time in the sun. Switch off the cell phones and don’t check your email; this change in latitude will definitely be a change in attitude. This is 2/3 bike path and 1/3 road riding. 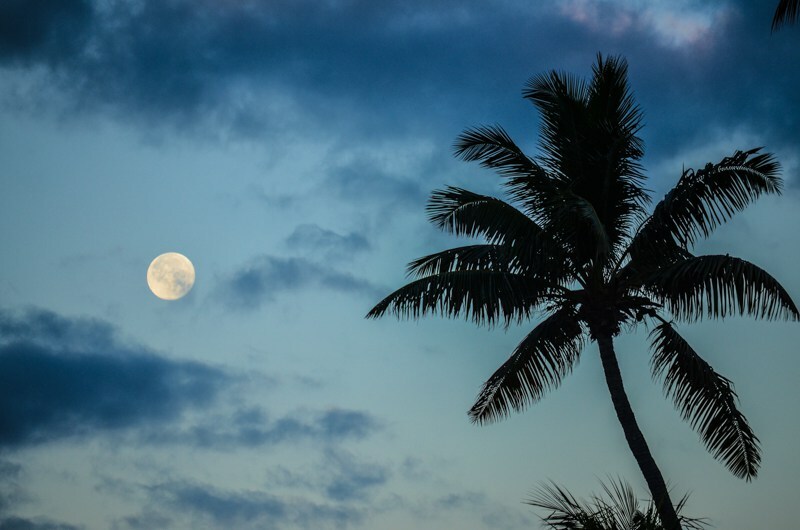 6 overnight stays, 6 breakfasts, 1 lunch, 2 dinners, sag support, admission to the John Pennekamp State Park, admission to the Bahia Honda State park, tickets for the John Pennekamp Glass bottom boat tour, admission to The Turtle Hospital tour. This tour's riding is mostly level, with approximately 70% bike path and 30% road riding on the shoulder of HWY 1. Traffic noise on the road shoulder sections can be unnerving for some riders. There are 42 bridges and some of them are long. Most of them have a wide shoulder and some are separate bike bridges. The longest of all is the 7 Mile Bridge. 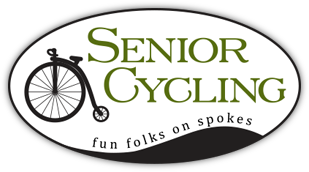 Riders need to have good bike handling skills and be able to tolerate road riding for parts of this tour, or they can ride in our van for the sections that feature road riding, for example, the 7 Mile Bridge. We categorize this tour as advanced due to the amount of road shoulder riding, particularly the bridges. 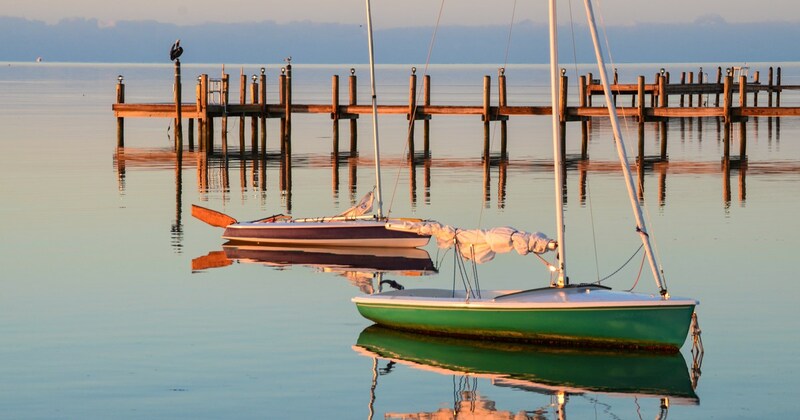 Meet in Key Largo for our introductory meeting and dinner. We’re in the islands now, with nearby tiki bars and restaurants. Let’s get this party started! 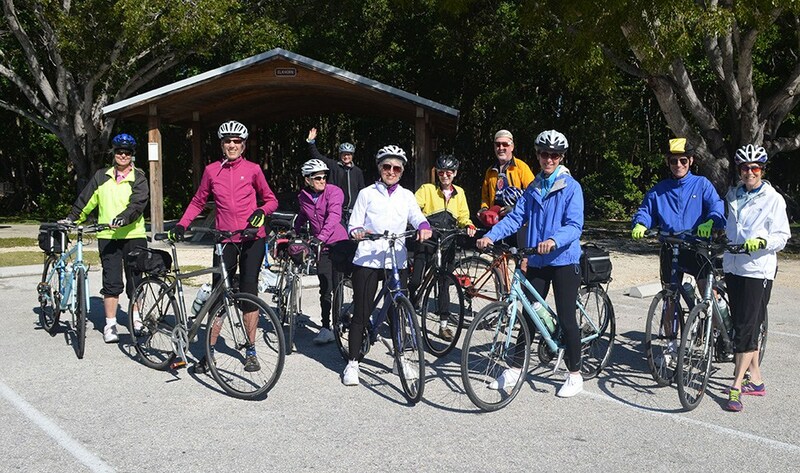 27 miles – We bike from our hotel to John Pennekamp State Park and begin the day with a glass bottom boat trip out to view the park’s coral reefs (included). Next we bike from the park to our lodging in Islamorada. 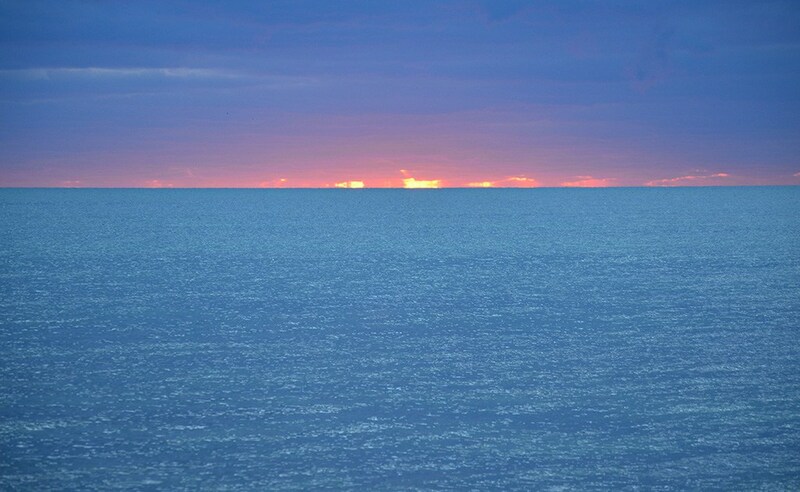 You'll want to try to watch the sunrise over the water. 29 miles – We ride from Islamorada to Marathon. Along the way you may choose to visit the Dolphin Research Center (optional and not included). Today’s ride includes riding some bridges over the fantastic turquoise waters of the Keys. Dinner tonight is at a nearby restaurant. A conga line formed last year after dinner – just something to consider! 29 miles We start with a visit to The Turtle Hospital (included), have a picnic lunch in Bahia Honda State Park and ride on to Little Torch Key. You can add a 5 mile jaunt out and back to the No Name Pub. 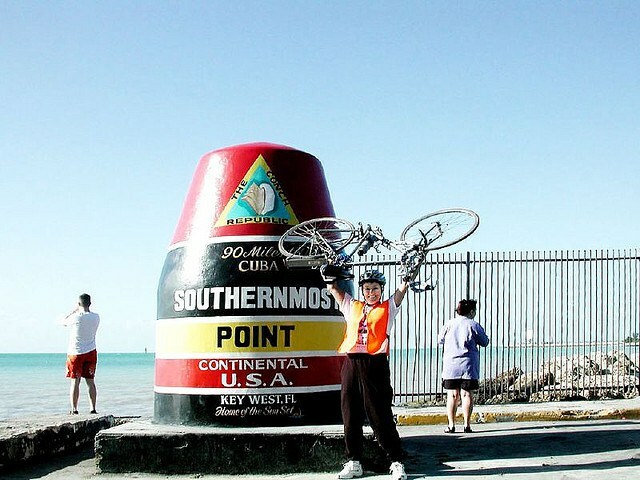 29 miles – The final leg out to Key West is on bike paths along the water and on to Southernmost Point, not far from our hotel. You have the afternoon to visit Key West. Our boutique hotel puts you right where the action is, near Duval and Truman, with excellent food, shopping and attractions. 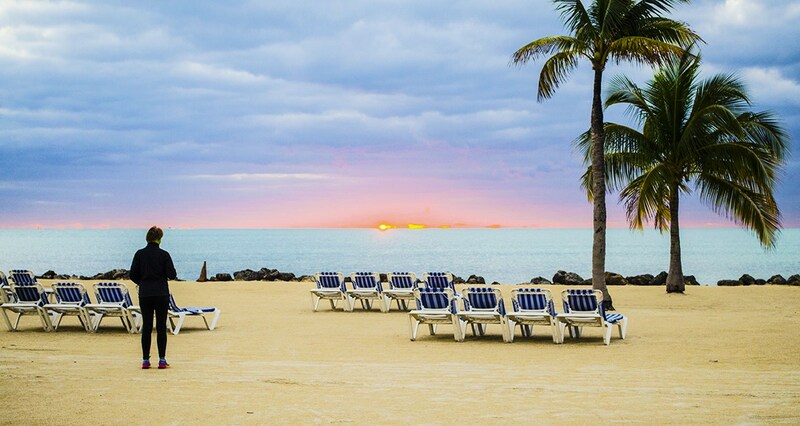 The day is yours to explore Key West. You’ll have plenty of options to choose from: museums, beaches, fishing, snorkeling, a boat trip to the Dry Tortugas, the Hemingway Home and many more. 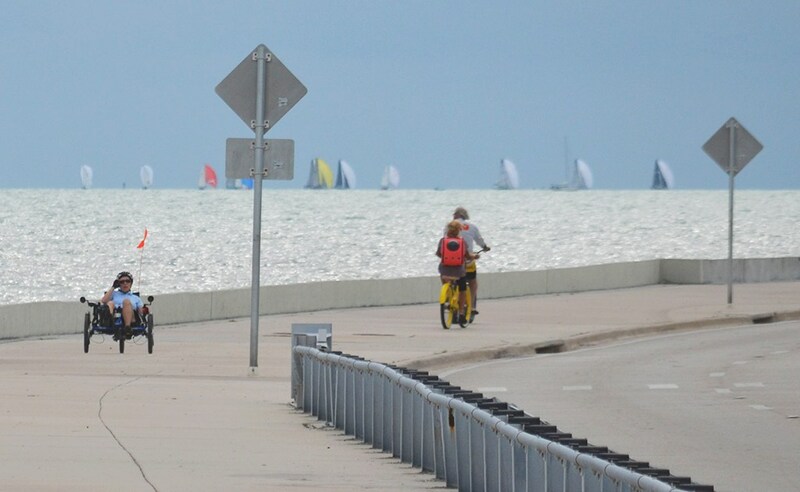 Use your bike to get around – it’s the best transportation on this fun island. Get out and see the sunrise and maybe enjoy a Cuban breakfast. We leave by 11:00 AM to return to Key Largo. Single supplement fee is $880. This trip starts on Saturday, January 25th, 2020 and ends on Friday, January 31st. If you are flying, Miami, Ft Lauderdale or Key West airports are the most common choices. Use shuttle or taxi services to meet us at our opening hotel. Some or our riders have used Key West's airport for their arrival and/or return trip, so please consider this option. Several major airlines, including American, Delta and United have service to Key West. A comment on our tour prices for this particular trip. We love this trip. We do not love the room rates we encounter in the Keys. But we do understand that this is prime time in a destination environment. We trust that you will understand as well. Bike rental is available at $100 for this trip.